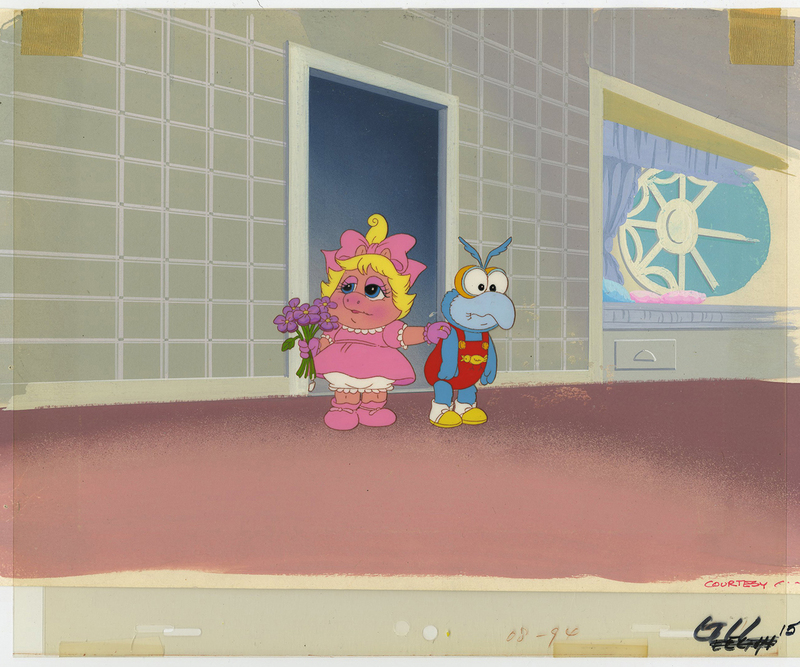 This is an original Production Cel from the Marvel/Sunbow Studios production Muppet Babies (1984-1991). 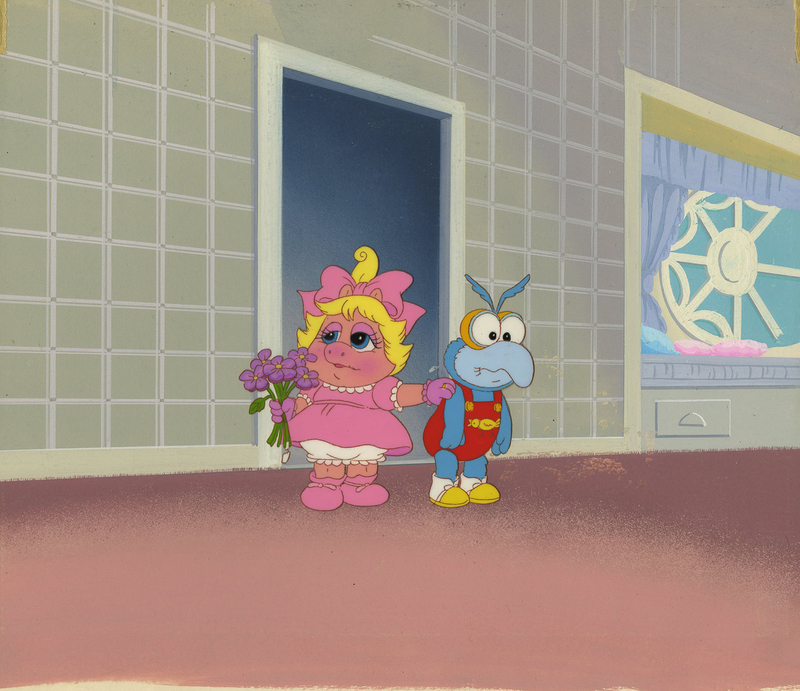 This Production Cel features MIss PIggy and Gonzo and was created at the studio and used during the production of the film. 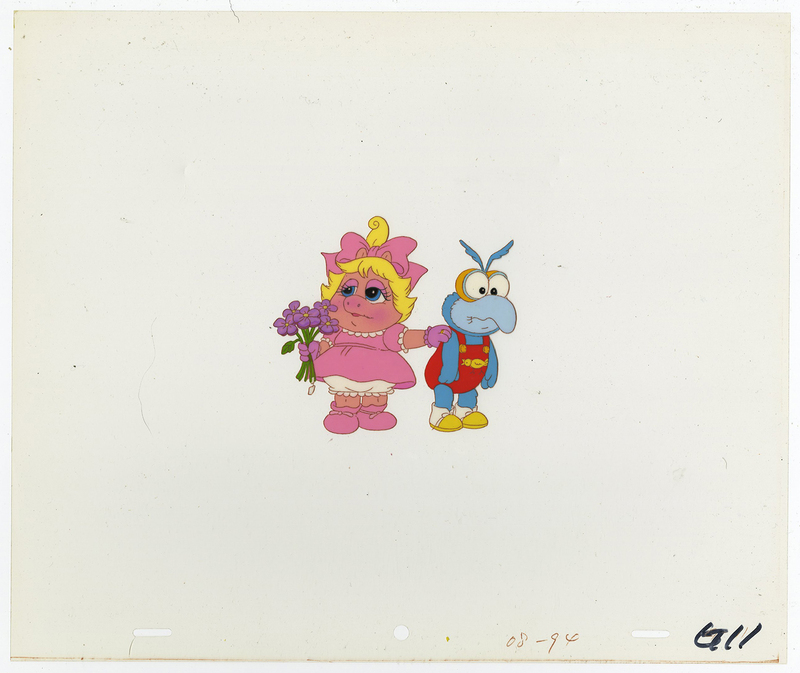 The overall measurements of the piece are 10.5" x 12.5" and the image itself measures 3.5" x 4".This piece may take an additional 2-3 business days to ship.